Yesterday Minneapolis, MN, played host to one of the most exciting Super Bowl games to date. This was the second time the city was selected to host “the big game”. Four years ago it was also awarded this honor after beating out other host finalists, New Orleans and Indianapolis. Choosing a Super Bowl location years in advance is standard with the NFL, as it gives area officials time to prepare. After all, the league knows the location it chooses must accommodate the immense crowd the game draws. With all things considered, including hundreds of millions of dollars in revenue, the NFL makes the process for cities to bid quite rigorous. Candidates must have stadiums to seat 70,000 with nearby parking for 35,000. They must have space to host pre-game entertainment, AKA Gameday Experience, within walking distance of the stadium, and another large location for the league’s interactive theme park, NFL Experience. This is in addition to golf courses, bowling alleys and other event facilities. And, let’s not forget hotel space. The NFL requires the host city to have lodging for at least 35% of its stadium’s capacity and within a one-hour drive. One primary goal is to ensure fans are comfortable and have easy access to the game and amenities. Yet, the ultimate goal is to maximize event ROI. Activating a street team offers ease and affordability and delivers results for many brands. In planning, one of the top two decisions event marketers make is location. (The other is the selection of promo staff). Choosing the area that will have the most impact with targeted consumers places you on a path to maximum ROI. For example, a book publishing company wouldn’t activate a street team promotion for a new release at the Consumer Electronics Show. While CES does offer tremendous traffic, attendee demographics and interests may not be suitable. However, a street team related to an enhanced e-reader could make a profitable fit. A street team promotion is a great tactic for event marketers to incorporate into an overall strategy. Street teams have the potential to deliver the authenticity and experience consumers crave. Having a smart process to determine location can help ease your burden and put you closer to a big consumer engagement win. Event marketers who know their target consumers are better positioned to choose a smart location for their street team. Often marketers use demographics to target consumers, which may include gender, age and income. Other considerations might relate to lifestyle, such as with occupation or hobbies. For many brands, this type of segmentation can guide event marketers to sporting events, festivals, business districts or entertainment hubs. Your brand’s goal may be to expand into a new geographic market that shows potential – another detail driven by data. Yet, marketers must still determine where in that market to find the right consumers. Before deciding on a location, the area must be vetted based on your street team’s logistics. Things such as regular weather conditions for the time of year, local events, traffic issues, and other factors can also play a part. In short, when events occur “in the wild”, every possible scenario is put under a microscope to ensure optimal results on game day. Now that you’ve chosen the right market for your street team promotion, consider the following locations for activation. Having promo staff interact with consumers in shopping areas can be an ideal place to market consumer goods. After all, their minds are already attuned to making purchases. It’s especially advantageous when the brand has a presence in the area. Distributing coupons (consider digital as well), samples, or swag can be a great tactic to guide passersby to a location. Your brand’s price point may also help determine the area; you might choose a high-end shopping center or a suburban mall. Attending a basketball, football or other sporting event is a beloved pastime for many Americans. These individuals are loyal to their teams – and could be loyal to the right brands, too. That’s why it’s not uncommon to encounter a street team when attending a sporting event or hanging out at a tailgate. 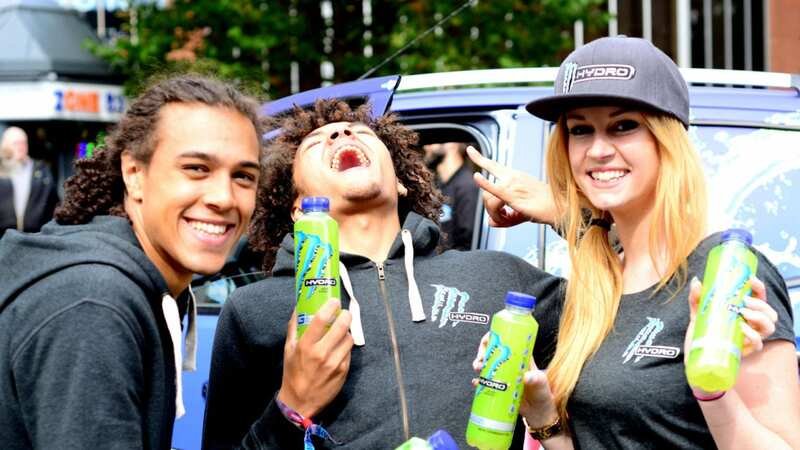 For example, food and beverage brands have found success with street teams that build excitement around the Olympics. 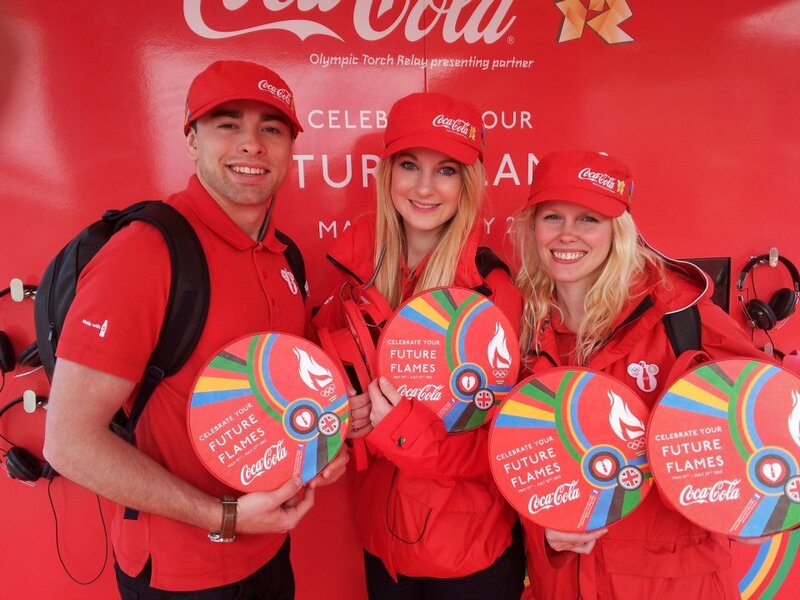 This includes Coca-Cola, which followed The Olympic Torch Relay, activating street teams to hand out over one million product samples and attaching its brand to a memorable experience. When business professionals are the target, going where they work can be a great idea. This can be advantageous for B2B companies and consumer goods and services alike. A street team promotion near office buildings or by transportation hubs, such as subways, sets the scene for invaluable encounters. These may be for consumer electronics, personal services, such as dry cleaning or haircuts, or a nearby restaurant with a revamped lunch menu. Johnsonville made a big impact with Atlanta commuters when it surprised them with free sandwiches while they waited for their train. Community events can be a great place for brands seeking to increase market share or introduce a new product or service. Cities across the country host annual fairs and festivals to bring their residents together. Other options can include art events or consumer product expos. These events give event marketers a unique opportunity to reach target consumers in one location at one time. These locations also provide street teams with a relaxed, low-pressure environment to engage with consumers on a deeper level, which also makes them a great spot for lead generation campaigns. 5. Music festivals or concerts. People no longer attend music events just for the music. They are looking for an experience. And, brands are helping festival and concert promoters provide that. 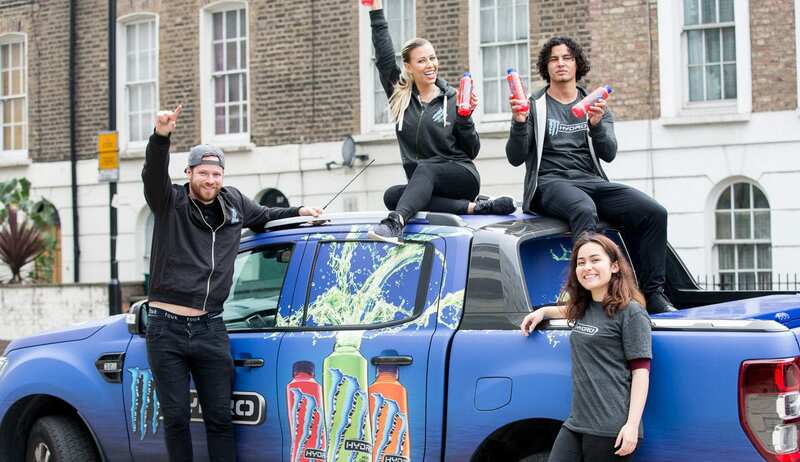 Activation of street teams are beneficial for alcohol brands, consumer packaged goods, and more. (Think snack samples to help fuel attendees of multi-day festivals.) It’s also a great way for cable TV networks to get entertainment-minded individuals to tune into their latest show. At Elevate, we know what it takes to execute a successful street team. Our promo staffing, event space sourcing and permitting services mean that our clients can spend more time focusing on driving campaign results.